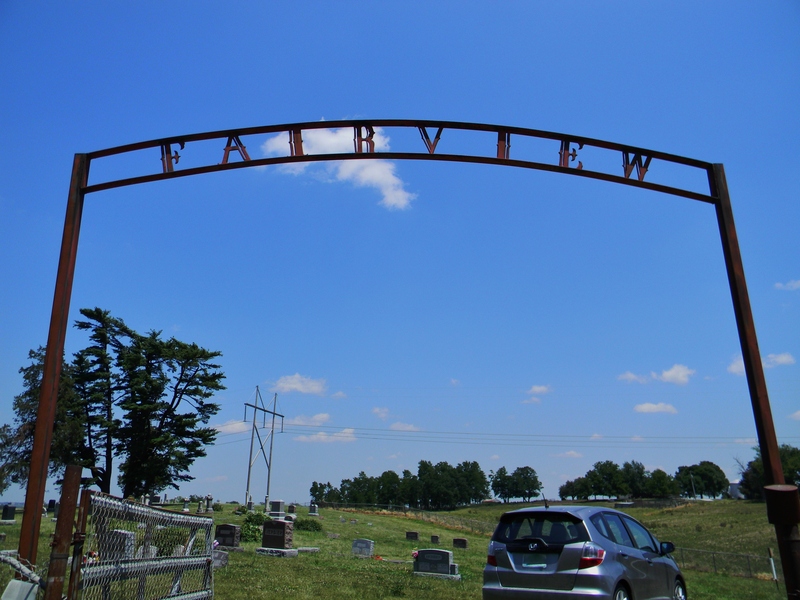 USA – Midwest – I Dig Graves! 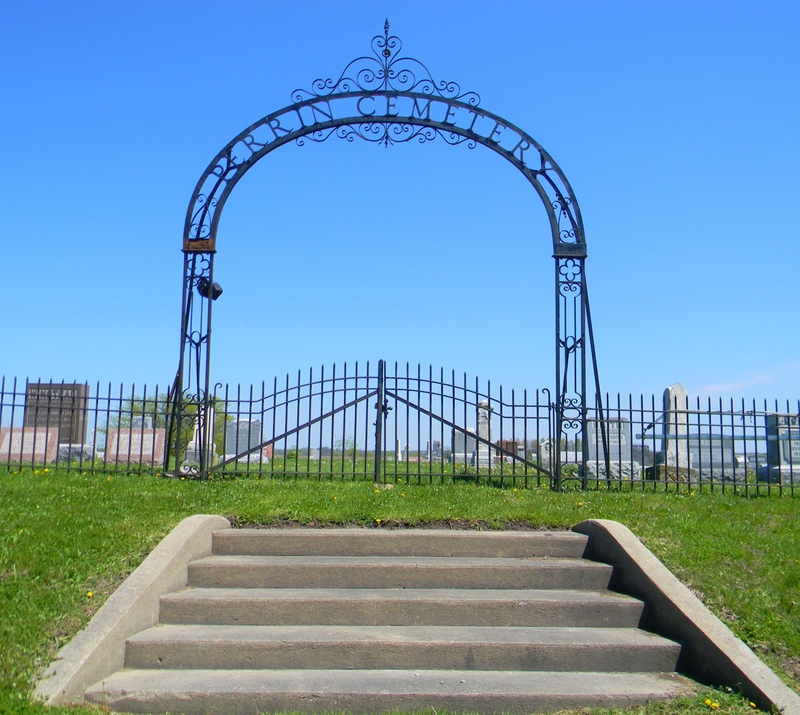 These big welcoming gateways are a familiar sight in the rural Midwest. 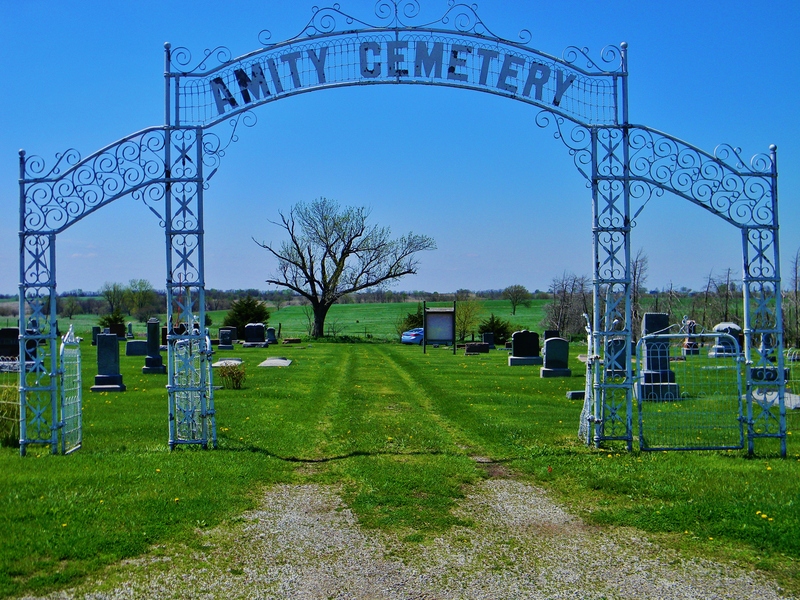 Cemeteries plopped right down on the side of the road or in the middle of a cow pasture need eye-catching signs to attract visitors. I wonder if there’s a cemetery gateway company that does all of these. Or used to anyway. I’ve never seen one that looked brand new. I don’t think they’re just a Missouri thing. Has anybody seen them in other parts of the country? My fifteen minutes of blogging fame are over. I love sharing my passion for all things burial, but it’s especially great exchanging thoughts with all of you. My blog’s not only a place for me to show off all the great cemeteries I’ve found, but a place to learn, from you, about other fabulous spots around the world. 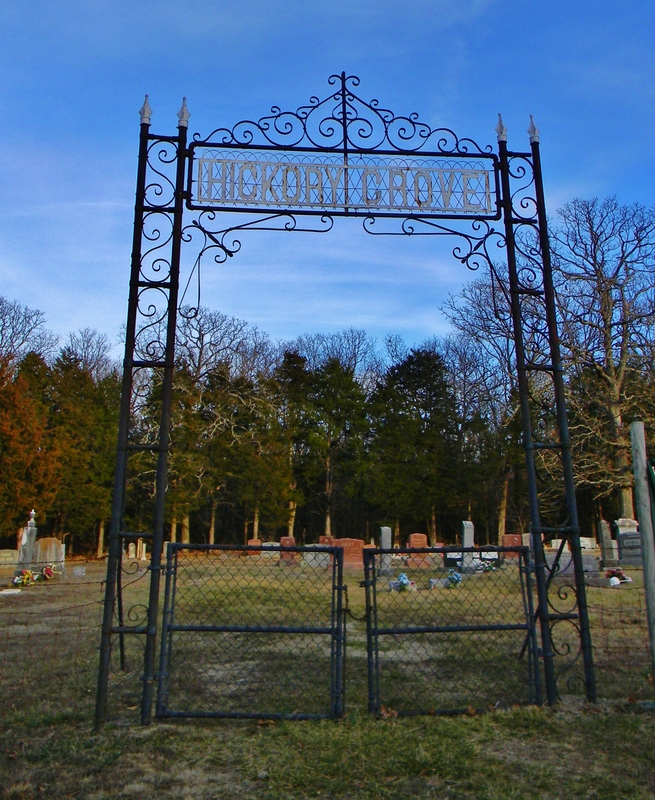 Your comments got some excellent speculation going about why people put little fences around graves. Marking territory was the most common thought followed closely by fulfilling an impulse to continue protecting lost loved ones. I think both of those are true. If you didn’t want a cow or bison leaning on the tombstone that you’d put a lot of care and money into, you put a fence around it. This idea made a great deal of sense to me and explained why the practice is most prevalent in the Southwestern U.S. Thanks, VLS! I’m not a genealogist, though I admire those of you who are up to the challenge. I’m not a photographer. Mostly I just point and shoot in beautiful places. But for reason’s I’ve never been very good at articulating, cemeteries provoke and ground me at the same time. I invite you to share your fascination too.